(Bloomberg) – Markus Jooste, who quit as head of Steinhoff International Holdings NV in December amid an accounting scandal, oversaw a complex series of transactions where decisions made by the South African retailer benefited him personally, company filings show. In a set of property deals reviewed by Bloomberg, companies linked to Jooste and Steinhoff associates profited by hundreds of millions of rand between 2002 and 2007. Steinhoff said it has handed information about Jooste to the police and the former CEO hasn’t spoken publicly since quitting the company despite being summoned to appear before parliament twice. His lawyer, Callie Albertyn, said at the time that Jooste wouldn’t appear because any statements he made could undermine his right to a fair trial at a later date because he believed he will probably be prosecuted. With Jooste at the helm, Steinhoff began buying Johannesburg-based logistics firm Unitrans Ltd. in 2000. Two years later Unitrans, with Jooste and Steinhoff’s current interim Chief Executive Officer Danie van der Merwe on its board, sold the land upon which dozens of car dealerships were based to a closely held company that later made payments that ultimately went to a firm Jooste controlled. In 2007, Steinhoff bought some of those properties from the Jooste-linked company at a multiple of their original value and the profit eventually flowed to another firm controlled by Jooste. 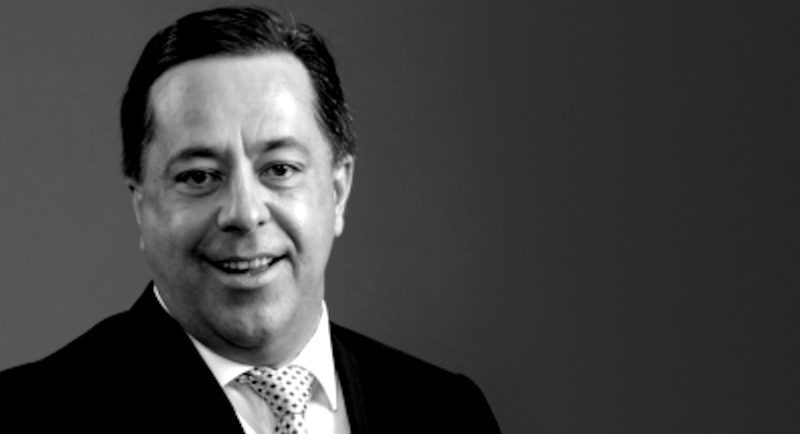 The series of deals and the layered company structures are an example of how the assets of Steinhoff, which has lost 97 percent of its market value since disclosing the accounting irregularities in December, may have been used to benefit Jooste and some of his associates. While Steinhoff said it forwarded information about Jooste to an investigative unit of the South African Police Service earlier this year, it’s not clear whether criminal probes have started. PricewaterhouseCoopers LLP, called in by Steinhoff in December to investigate the finances, has said it’s probing at least as far back as 2015. In addition to Jooste and the man who became his son-in-law, Stefan Potgieter, several Steinhoff executives were directors of the companies that moved the proceeds of deals to Mayfair Speculators (Pty) Ltd., where Jooste was the only director in 2007, filings show. Mayfair Speculators bought racehorses and luxury estates. Unitrans referred queries to Steinhoff, while Steinhoff said it can’t comment until the investigation it commissioned PwC to carry out is complete. Jooste’s lawyer, Albertyn, didn’t respond to questions sent to him by Bloomberg. Danie van der Merwe said he has been advised not to comment on matters that may be subject to the investigation, with which he is cooperating. 2000 – Steinhoff, where Jooste was the joint managing director, begins buying Unitrans, according to company statements 2002 – Clidet No. 386 (Pty) Ltd. borrows money from two units of Sanlam Ltd. to buy 37 plots upon which Unitrans-linked car dealerships were located for 72.8 million rand ($5.4 million), loan documents seen by Bloomberg show. 2007 – Clidet, by then known as Erfvest Properties (Pty.) Ltd., sold all but four of those same 37 pieces of land to Steinhoff’s property unit for about 954 million rand, according to company filings and Bloomberg calculations based on property deeds June, 2007, Erfvest transfers 316.5 million rand to Kluh Investments (Pty) Ltd., according to company records seen by Bloomberg. Kluh Investments’ directors have included Potgieter and three Steinhoff executives including Jooste, Danie van der Merwe and Jan van der Merwe, according to company filings. Potgieter said he wasn’t a director of Kluh until 2009, Mayfair in 2010 and Erfvest this year and didn’t benefit financially from the property deal. Kluh financial statements for 2005 list Potgieter and Jooste as directors while minutes from a 2009 company meeting show them approving the 2007 share transfer. Jan van der Merwe didn’t respond to questions sent to his mobile phone Kluh Investments’ controlling shareholder was Swiss-based Fihag Finance Handels AG, according to Kluh’s financial statements. Angela Kruger-Steinhoff, daughter of Steinhoff’s founder Bruno Steinhoff, has served on Fihag’s board, European company records show. Angela Kruger-Steinhoff said her father sold Fihag in 2003 and she left the board the same year July, 2007, Kluh Investments had 85 million euros ($99 million) in cash, according to a letter from Fihag director Nicholas King to Kluh that Bloomberg has seen Fihag’s King then writes to Jooste at Mayfair Speculators and says Fihag agrees to sell all of its shares in Kluh Investments for 64.7 million euros to Mayfair within three years, according to another letter seen by Bloomberg. King didn’t respond to emailed questions or a message left for him at a U.K. company where he is a director. 2009 – Mayfair Speculators writes to Fihag proposing a final price of 67.9 million euros for Mayfair’s purchase of Kluh. Mayfair points out that Fihag owes Kluh exactly 67.9 million euros. 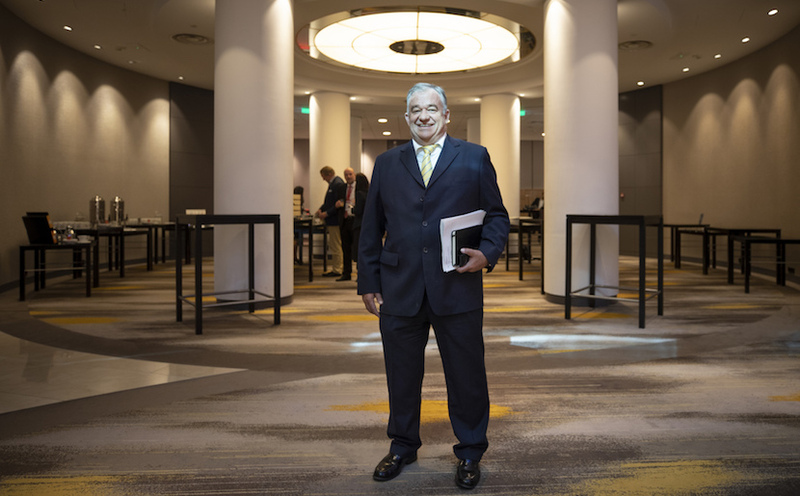 The balance then due to Fihag from Mayfair Speculators for the Kluh shares is zero and Fihag director George Alan Evans agrees to the deal, according to the letter that both Jooste and Evans signed, which has also been seen by Bloomberg. Calls made to Fihag seeking Evans were answered by a man who didn’t identify himself and were then cut off. An example of the over-valuation of the 33 properties sold by Erfvest to Steinhoff can be shown in the transactions linked to one plot, 28 Lake Avenue in Benoni, east of Johannesburg. The land, a little bigger than two tennis courts, is on a street lined by dilapidated buildings in an industrial area. Three nearby stands on that road sold for an average of R670,000 in 2007, online records at Property24 show. Clidet bought it in 2002 for R4.79 million and, after changing its name to Erfvest, sold the plot to Steinhoff’s property unit in 2007 for R33.7 million, records show.